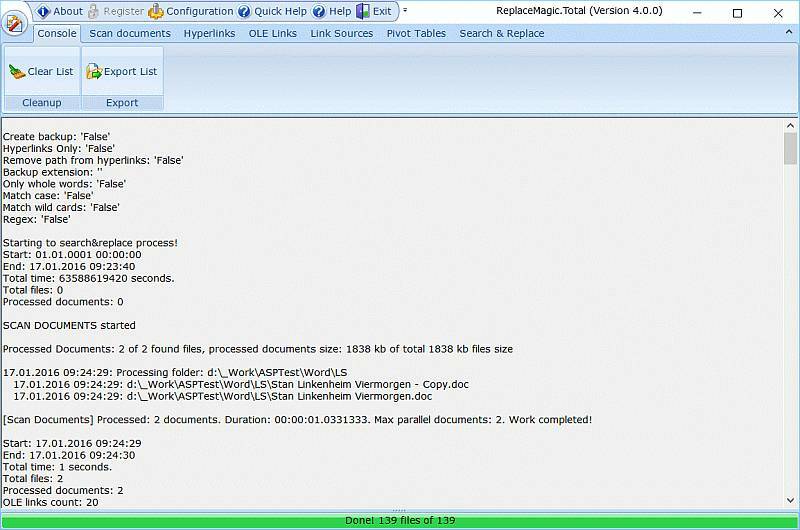 Additional benefit to all Web developers is that ReplaceMagic.Text can identify hyperlinks in processed documents. 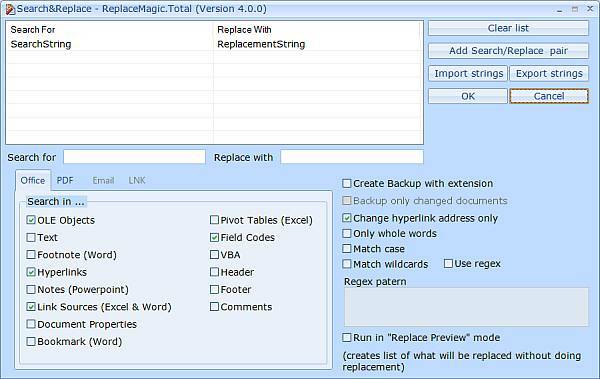 To use ReplaceMagic, create list of search/replace pairs and specify where in the document it should be found. 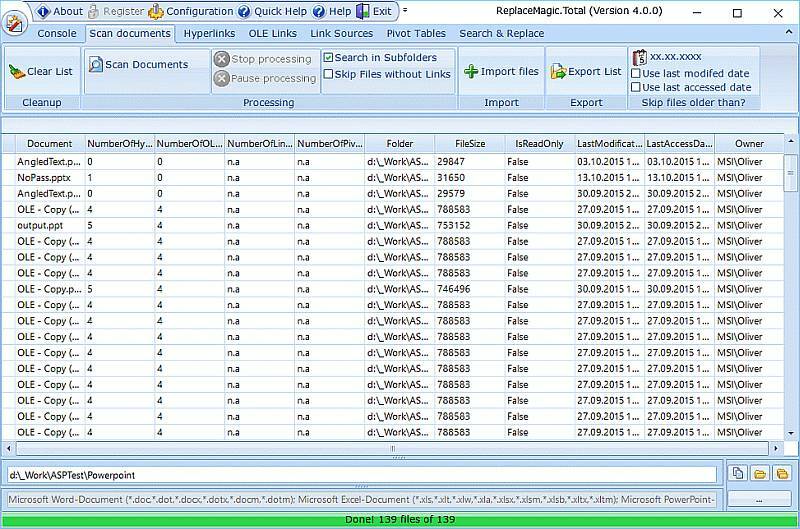 Then you tell it which folders to process and it is it - it can not be more simple!